Beavers, high elevation streams, and oyster reefs are just three of the weapons in the fight against climate change discussed in 14 Solutions to Problems Climate Change Poses for Conservation, a new report released today by WCS. From re-introduced beavers restoring the water storage capacity of ecosystems in Utah and Washington, to redesigned culverts that accommodate flooding in Upstate New York, the report showcases 14 inventive "real-world" solutions to a warming climate threatening wildlife and ecosystems worldwide. Solutions profiled include traditional and innovative conservation tools applied strategically to address climate change impacts such as decreasing water availability, increasing risk of flooding and wildfires, rising sea levels, direct effects on species and habitats, and changing land use and human behaviors. In Utah and Washington, beavers are being returned to landscapes they once inhabited. They are once again building dams that slow run-off, increase riparian habitat and store water above and below ground, helping to offset climate change related declines. In South Carolina, oyster reefs are being built near coastal marshes to reduce the energy of boat wakes and tidal flows that contribute to marsh erosion. The reefs promote sediment accumulation, raising the level of marshes and protecting them from rising sea levels. 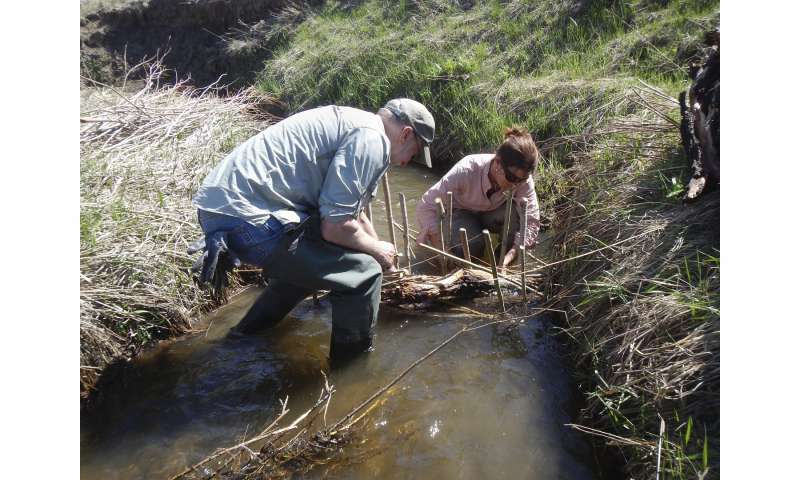 In southwest Montana, low elevation streams are expected to warm beyond optimal conditions for native trout. The trout and other cold-water adapted species will be aided by access to high elevation streams (currently too cold but likely to warm) through removal of fish passage barriers and securing of in-stream flow rights. WCS Climate Adaptation Fund Program Director Darren Long said, "We are thrilled to share our '14 Solutions' report, and for others to learn from the adaptation work of those whose projects are showcased here. These solutions are on the leading edge of a field where traditional conservation work is no longer sustainable or strategic in light of climate change." paint all sky facing artificial surfaces white.